Aloha has been known as a way to say hello and goodbye, as well as another word for the loving spirit and soul of the Hawaiian Islands. It is used to add to the last day of the work week, in anticipation of a great time (Aloha Friday!) There is actually more to it than that. I want to share some thoughts about Aloha, and what it means to children, tourists, movie stars, and others. A stands for AHONUI, meaning patience to be expressed with perseverance. To learn how to pronounce the Hawaiian words, see the video below. In Hawai'i we greet friends, loved ones and strangers with aloha, which means with love. Aloha is the key word to the universal spirit of real hospitality, which makes Hawai'i renowned as the world's center of understanding and fellowship. Try meeting or leaving people with aloha. You'll be surprised by their reaction. I believe it and it is my creed. Aloha is my religion. I practice it every day. Aloha is not a greeting, it is a feeling...the feeling that God is present. The state of aloha can be created in an instant. It is a decision to behave with kindness, with generosity, wanting to give joy to another. For over half a century, the aloha shirt has been Hawai'i's most enduring and visible greeter and ambassador. Like a lei, the aloha shirt is worn as a statement of one's love for, and connection to, a most special place. Aloha is like when a puppy licks your face, only it's not so sticky. 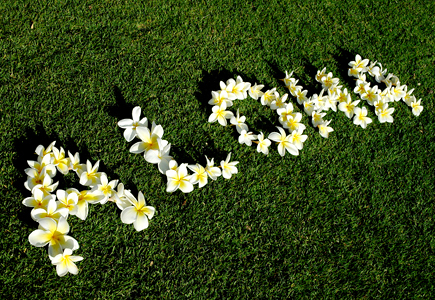 Aloha is my favorite word because when you say it, it makes everyone smile. One day if you swallow a rainbow then you let some drip out of your mouth when you smile, that's what aloha is. Aloha means we're friends forever – especially if you're invisible. It should be a flavor of ice cream because it's that good. Aloha is when there is a room with a million strangers and then they say "aloha," and then they are not strangers any more. Even though some people live in big fancy houses with a lot of toys, aloha makes us all the same. Aloha is when you have to say good-bye, but you want to leave a piece of you behind because now you have to go home. 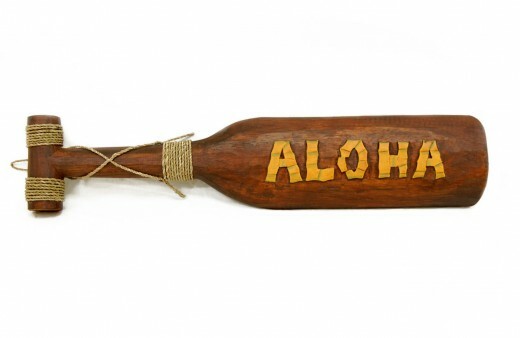 Aloha means you treat everybody nice even if you don't like the way they smell. Aloha is one of the words that means everything good; which is good because everything would need a lot of words otherwise. Aloha means I remember you even though I haven't met you before. Aloha is all the good feelings like love and missing someone, but it isn't so mushy. Aloha is the way we live. Many of these quotes were from a book called Chicken Soup from the Soul of Hawaii by Canfield, Hansen, Linnea and Rohr, which I truly enjoyed reading. If you Liked This... Give Me a Thumbs Up Below! Thanks Nan for your positive vibes. I will check out your new venture. Wishing you much success. I appreciate the hug and aloha punacoast. Glad that you enjoyed my hub. Aloha right back at ya! Awesome hub. You did a beautiful job explaining the meaning of Aloha. Elayne, I'm sending you a big hug and a warm aloha! Yes, often I feel lucky! Thanks ethel! A feel good hub. Lucky you to live in Hawaii. Aloha. It is an ideal, that is hard to grasp sometimes, but at least we can have it as a goal. Thanks CMHypno. Aloha seems like a nice way to live elayne - very peaceful and happy! Mahalo nui loa (thank you very much!) DzyMsLizzy. I am so glad that you enjoyed it, and that it brought up such wonderful memories. I appreciate all your thoughtful comments. Aloha, Awesome! My mother lived & worked in Hawai'i during WWII. She embraced the spirit of Aloha while there, and it stayed with her the rest of her life. She had a dictionary of Hawaiian words, and I loved to look through it, the fluid words rolling over my tongue. I was particualrly impressed with the name of the tiny fish with a name many times its size. ;-) (Humuhumunukunukuapuaa!) Such fun to say! Aloha, little fish! She used to say that Aloha means, "Hello, and goodbye, and farewell, and till we meet again, and so much more." Blessings, Peace, Love, and Friendship all come to my mind in recalling my mother's adventures. This was a great article,and I loved the "swallow a rainbow" comment..kids sure can put things succinctly! Voted up, and danced all over the other buttons! Aloha to you, too KawikaChann. Happy to meet you on HP. Hope you are enjoying Portland - beautiful country! aloha, just popped by, spotted your page in the features, thanks for some nice cup of aloha... aloha no...transplanted Hawaiians in Portland,O. 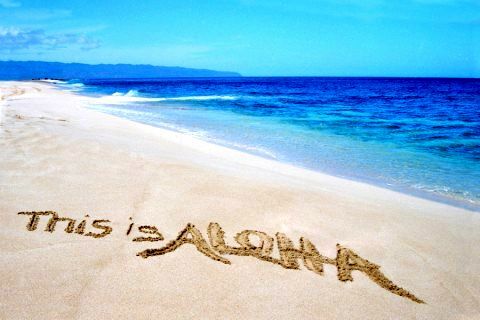 So true BlissfulWriter - aloha is more than a word - it is a lifestyle, character trait as well as a gift. Thanks for commenting. Thanks Seeker. I love the children's comments also. They are the best!. I appreciate your comments. Aloha! This was awesome, especially the quotes from the children - funny and beautiful at the same time. Thoroughly enjoyable. Glad you could feel the beauty of aloha shining through the hub Sa'ge. Aloha nui loa. Glad you feel that way Hello, hello, Aloha is definitely a positive word. Thanks. It must be wonderful to live there. The very word makes such a pleasant atmosphere. Thank you Sun-Girl. Glad that you enjoyed it. Very nice and interesting hub which is well shared. Go glad it brought back great memories for you Seafarer Mama. Hope that you get to return to Hawaii, sooner rather than later. Mahalo nui loa (thank you very much)! Loved reading this hub, and the comments of our fellow hubbers that follow. :0) Went so far as to bookmark it. Yes it is, and it helps a lot when you're trying to pronounce some of the street names :-)! Thanks for sharing that insight PWalker281. That is great that you have studied Hawaiian. It is a very beautiful language. Very nice hub, elayne. I can feel the aloha spirit emanating from it! When I first came here, I took a few semesters of Hawaiian and during the first class, the teacher said that "aloha" means, "... love mercy, compassion, regard" and feelings of well being must exist between the speaker and the addressee when spoken." It reminds me of the greeting, "Namaste," which, loosely translated means, "The divinity in me sees (bows to, respects, acknowledges) the divinity in you." Thank you Dim - and back at ya! I appreciate your positive comments spsingh. Thanks M. Rose. You can actually "Live aloha" and not be in Hawaii. It is also a state of mind and the way you treat others. I appreciate your comments. Thanks LianaK. 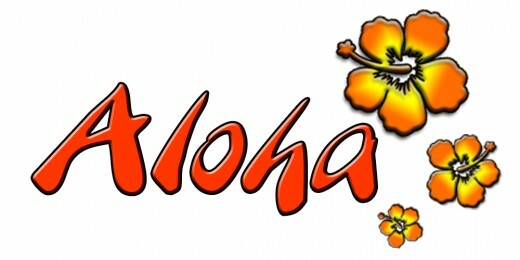 Aloha is a very meaningful word, and all positive. Aloha is a good word that by itself brings up an image of Hawaii. Thanks HealthyHanna. Glad you enjoyed it. I appreciate your comments. This makes me smile. It is good to find things that make you smile. Aloha.